Donncha O'Callaghan is one of Ireland's leading international rugby players, and a stalwart of the Munster side. He was a key figure in the Irish team which won the IRB 6 Nations Grand Slam in 2009, and has won two Heineken Cup medals and two Magners League titles with Munster. But that success did not come easy. For such a well known player with a larger-than-life reputation, his long battle to make a breakthrough at the highest level is largely unknown. 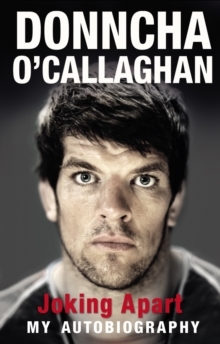 In this honest and revealing autobiography, Donncha talks in detail about the personal setbacks and disappointments at Munster and the unconventional ways he dealt with the frustration of not making the team for four of five years in his early 20s. He had a parallel experience with Ireland where it took him nearly six years to get from fringe squad member to established first choice player. Here he talks candidly about how he brought discipline to his game, and about his relationships with the coaches who had overlooked him and the second row rivals who had kept him on the bench. Donncha talks also with great warmth about a hectic childhood that was shaped by the death of his father when he was only six years old. One of the heroes of his story is his mother Marie who showed incredible strength and resourcefulness to rear a family of five on her own. Often deservedly regarded as 'the joker in the pack', what is often less well known is the serious attitude and intensely professional approach Donncha brings to his rugby. Joking Apart gives the full picture, showing sides of the man that will be unfamiliar to followers of Irish rugby and will surprise the reader.